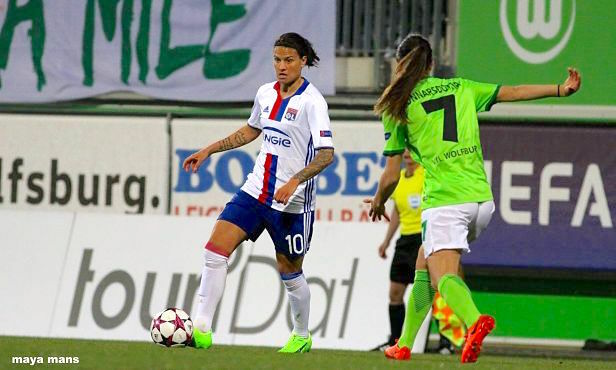 The Lyon women put in a good performance in Wolfsburg to defeat the hosts in the quarter final of the Champions League on Thursday evening. 10’. From an innocuous backpass, Schult completely misses her clearance but Morgan manages only to block it. 20’. Bouhaddi gives her team a scare after coming out of her area, but OL get away with it. 27’. Abily makes the first attempt on goal of the match from a Marozsan pass, but her shot doesn’t have the power to trouble Schult. 33’. Bouhaddi reassures her team by twice snuffing out Blässe. 43’. Renard clips one over the defence for Morgan and her first touch gets her away from Fischer. Her shot then hits the post, with the keeper well beaten. 45’. Le Sommer, at the edge of the area on the end of a perfect pass from Abily, is forced wide and, with only the keeper to beat, she fails to open up her body enough to shoot well. 50’. 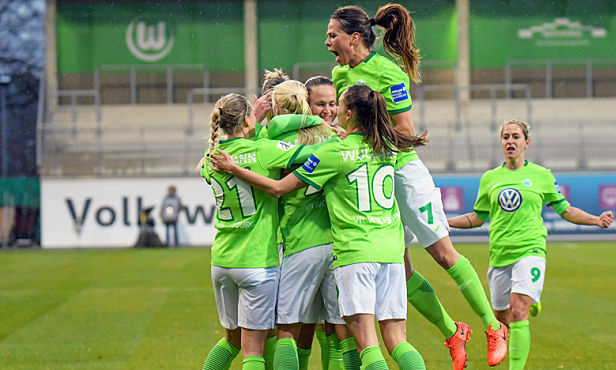 Huge chance for Wolfsburg after they swarm down the left that end with Bouhaddi saving Martiz’s close-range header. 55’. Marozsan crosses for Hergerberg, but the latter’s header is too weak. 59’. Le Sommer scores but is offside. 62’. Goal for OL. Abily’s direct free kick loops perfectly over Schult to finish inside the far post. 0-1. 74’. Another OL goal. Marozsan doubles the lead on her own: she feint, sets herself up then shoots into the bottom corner. 0-2. 82’. Wullaert finds the post after another attack down the left. 88’. Le Sommer misses a chance to make it 3-0 when she comes off second best in a one-on-one with Schult. 92’. One last threat from Hegerberg, but Schult parries. The Lyon women were patient. After a huge half hour of a match without any decent chances, OL stepped it up before becoming completely gaining the ascendancy at the end of the first half (43’ and 45’). 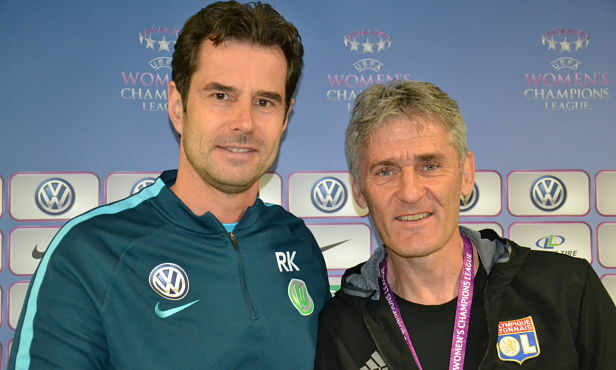 But it was only in the second half that Gérard Prêcheur’s ladies made the difference and at the same time took a big step towards the semi-finals of the Champions League. Abily opened the score with an inspired direct free kick (0-1, 62’) before Marozsan, involved in all the decent shots tonight, sealed the fate of the match (0-2, 74’). The German was simply everywhere..
More defensive in the first half in order hold, Marozsan stepped up to become the perfect distributor for her team. 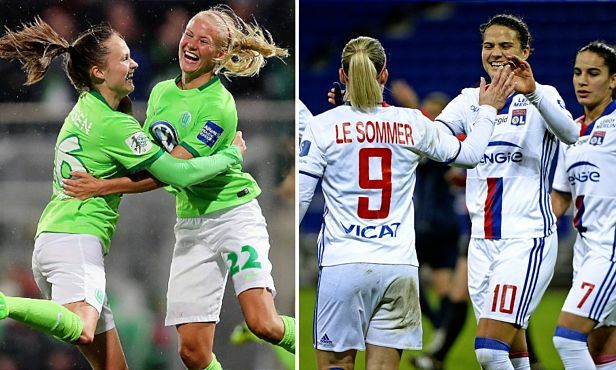 Against Lyon, Wolfsburg managed to create some threats but OL helf firm and awaited their opportunity. The score could’ve been higher had Le Sommer (88’) or Hegerberg (92’) had more success at the end of the encounter. But the two-goal advantage taken away puts OL in a very good position ahead of the return match in a week’s time at the Parc OL. The ladies have maintained their run perfectly, and are looking good to retain the title. After Blässe brought Morgan down illegally, OL were awarded a free kick on the Germans’ right flank. Abily glanced up before before the kick and saw that the opposition keeper was too far forward. Did she mean it or not? It doesn’t really matter, the kick was superb and did a lot to get Lyon through the away leg of the Champions League quarter final. 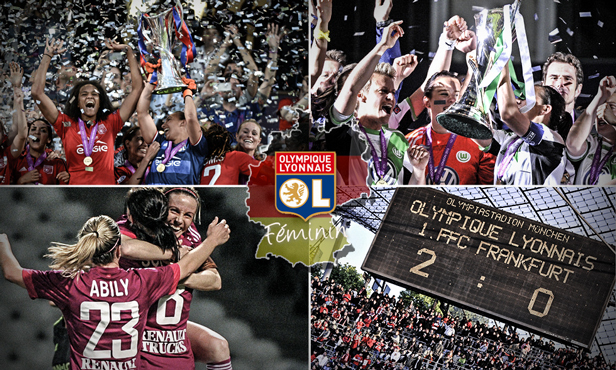 The Lyon women are the only team to win by more than one goal in this first quarter-final round of the Champions League. 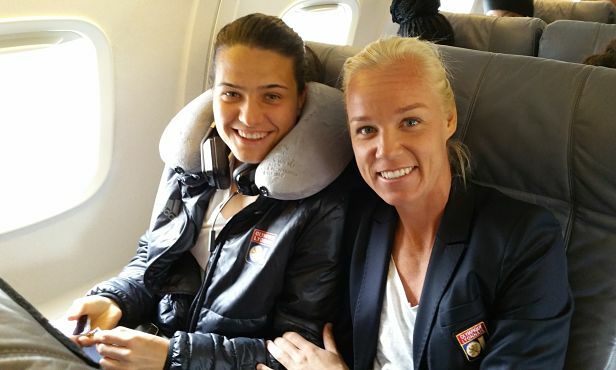 Barcelona overcame Rosengard one-nil, as did Bayern Munich against PSG. And, Manchester City and Fortuna Hjorring, OL’s two potential semi-final opponents, were also separated by the smallest of margins. It’s the English club that has the upper hand there (1-0). By winning two-nil tonight, OL is therefore the only team to really be sitting pretty going into the return leg. Although nothing has been won yet. At the AOK Stadion de Wolfsbourg (GER). Referee: Jana Adámková (CZE). Attendance: 4 700 approx. Goals: Abily (62’), Marozsan (74’) for OL. Yellow cards: Graham Hansen (30’), Blässe (60’), Wullaert (90’) for Wolfsbourg. Renard (22’) for OL.